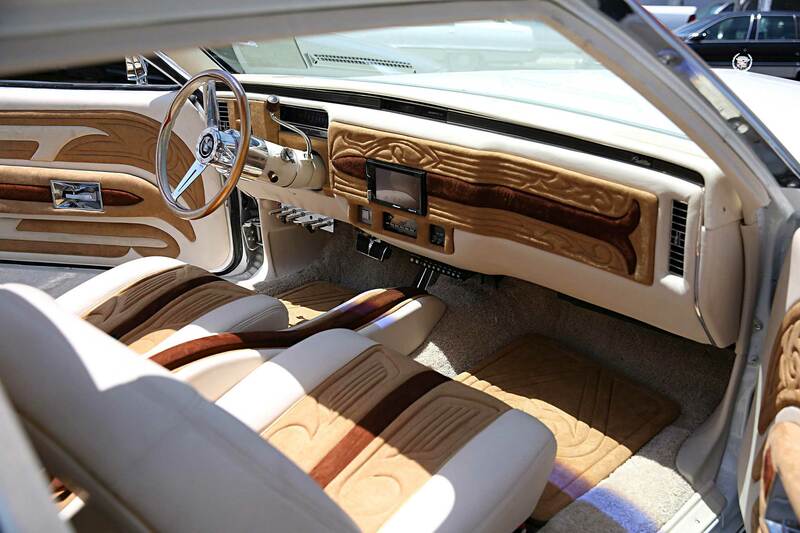 After taking notes on Tianna Valdez’s 1979 Coupe De Ville I thought I had time to take a break from writing notes and get back to snapping photos. 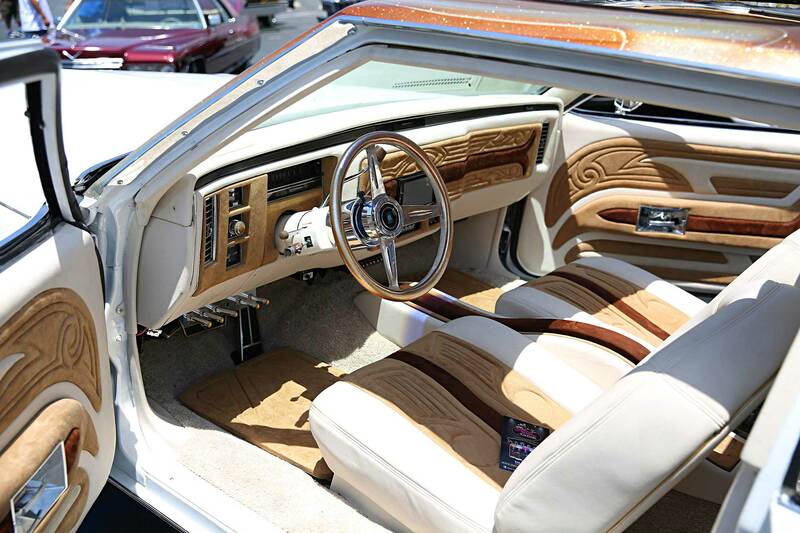 That’s when I looked over about 15 feet and saw a beautiful white 1983 Coupe De Ville that I needed to get some more information on. 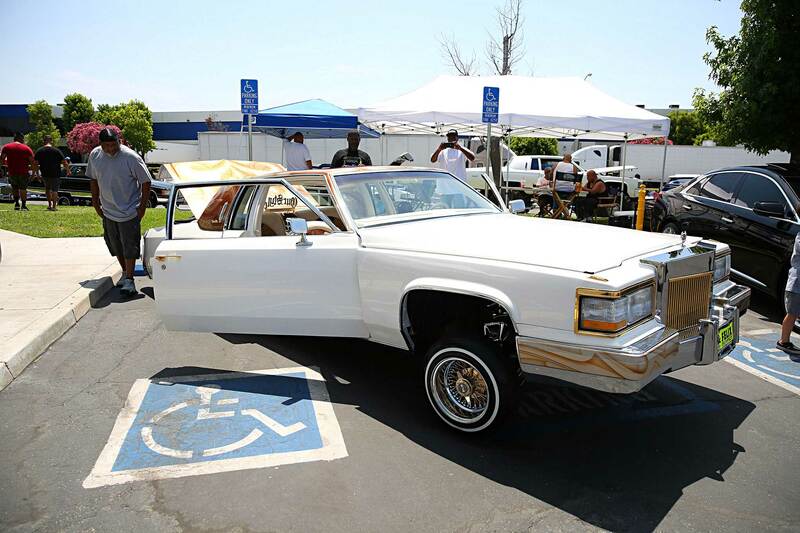 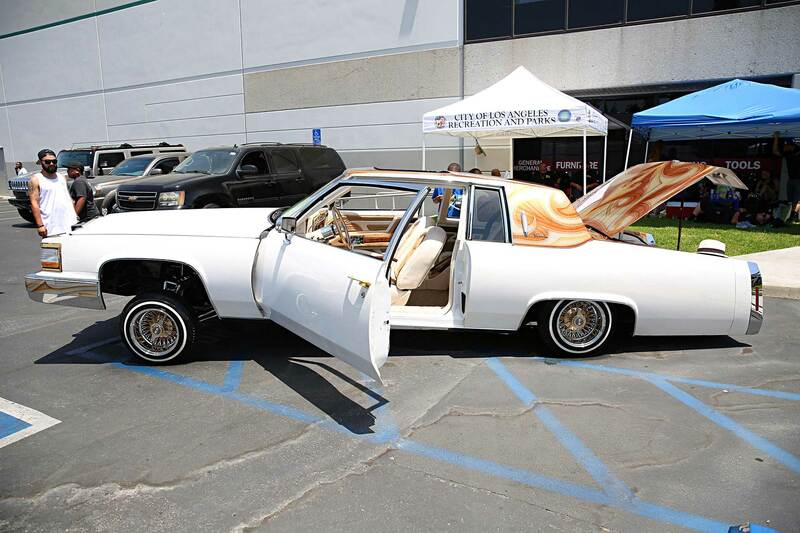 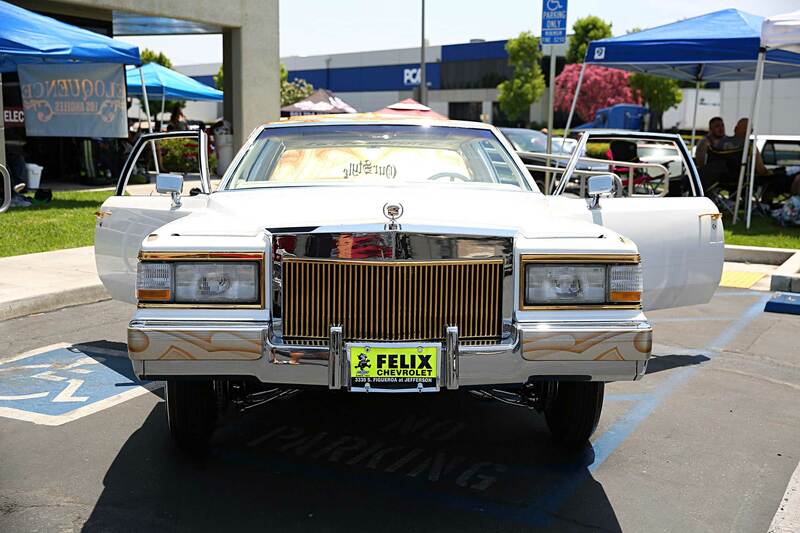 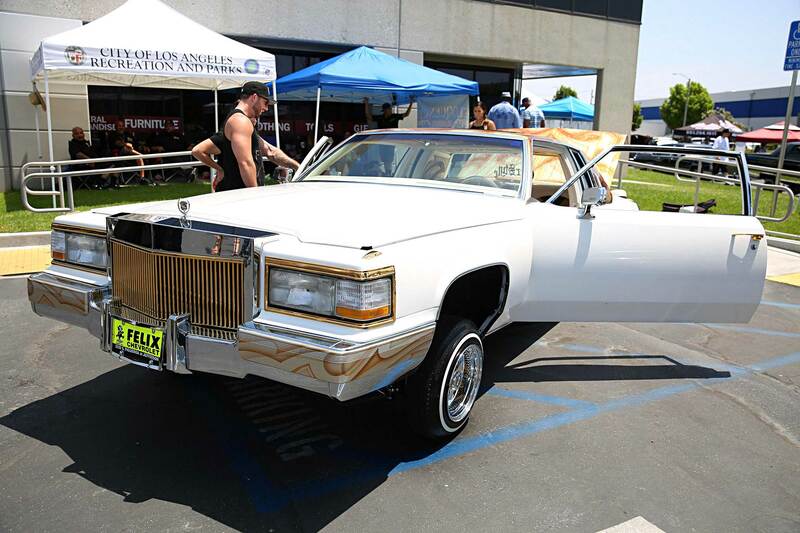 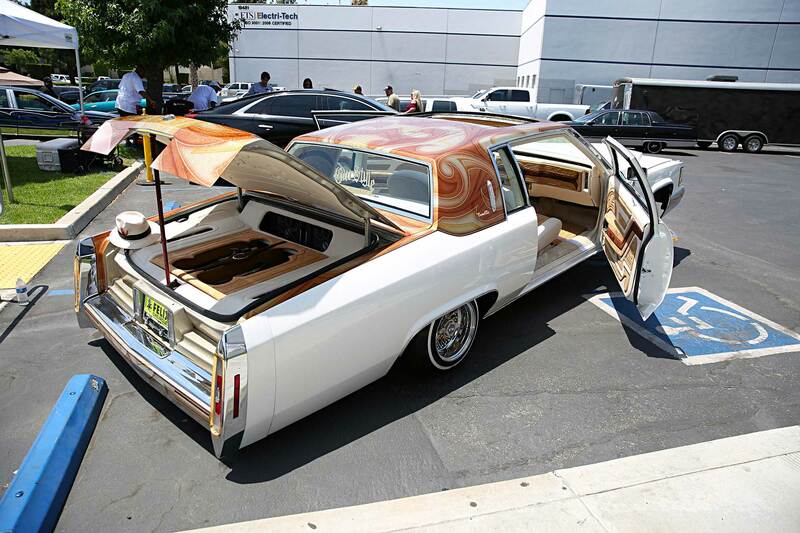 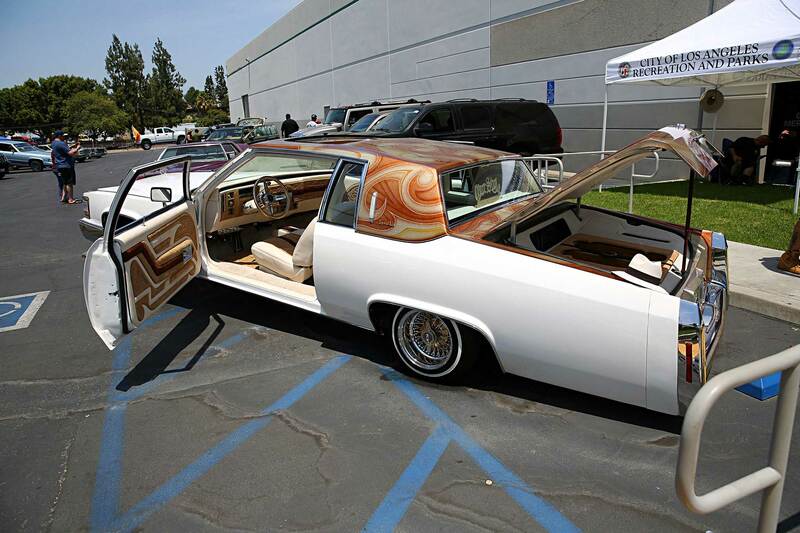 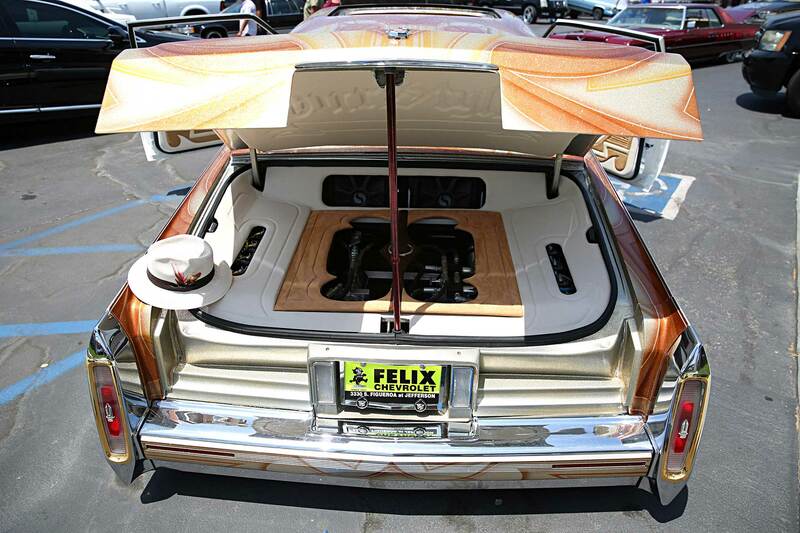 Owned by Alex Espinoza of Our Style Car Club, Alex’s Coupe De Ville features a hydraulic setup by Homies and chroming by Speedy’s Metal Polishing. 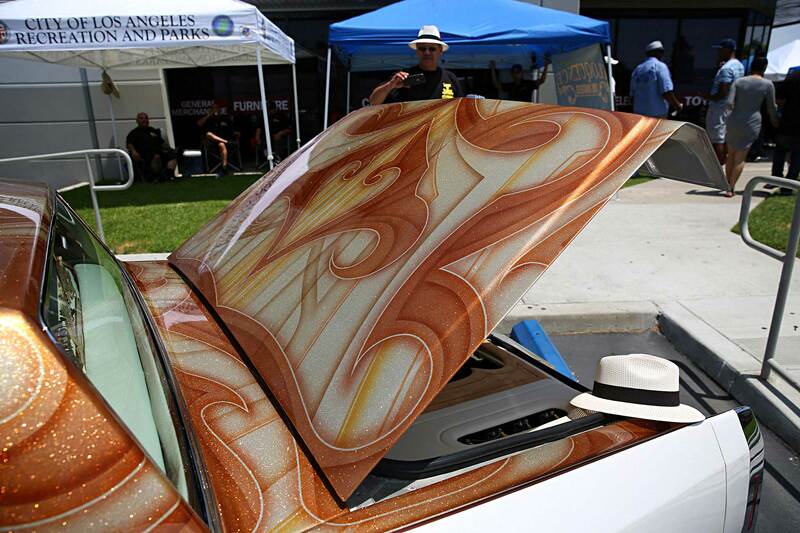 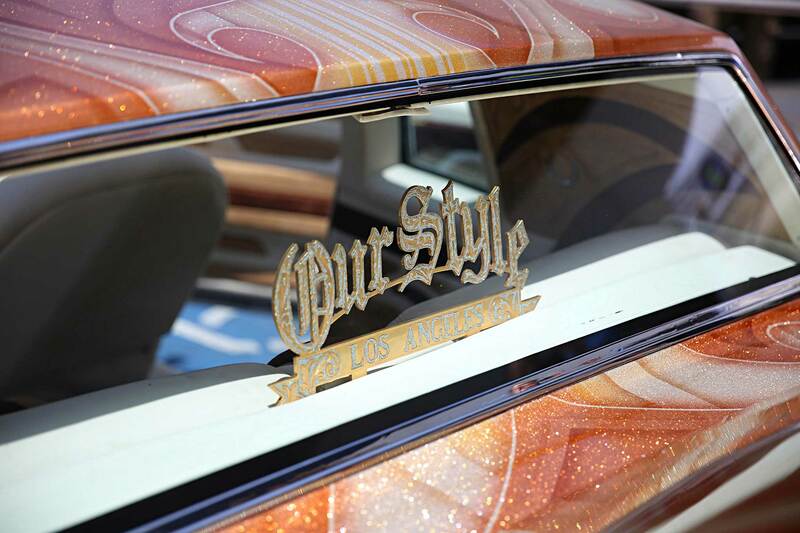 Inside the coupe is an interior by Roger Valdez from Top Shop while on the outside is a paintjob by Westcoast Autobody with patterns by Skippy.